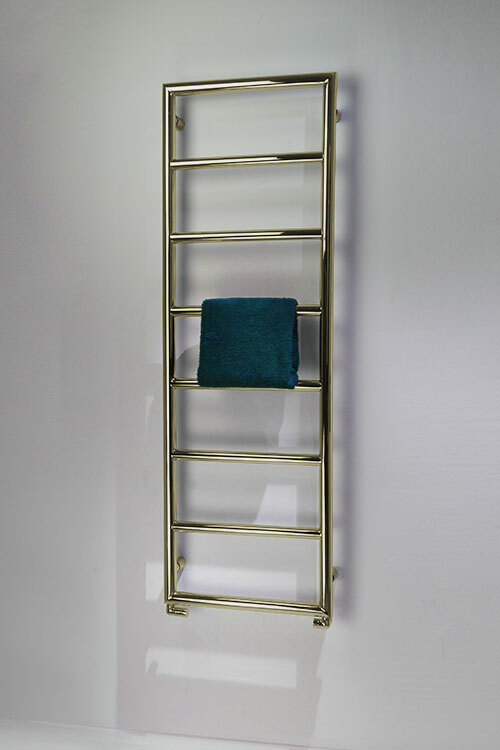 This polished brass heated towel rail has a simple, modern shape, with evenly spaced bars for easy towel hanging. 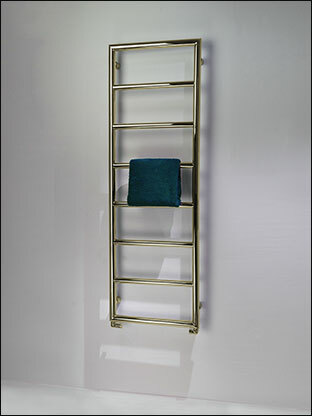 Available in 3 sizes, with bespoke options to special order. 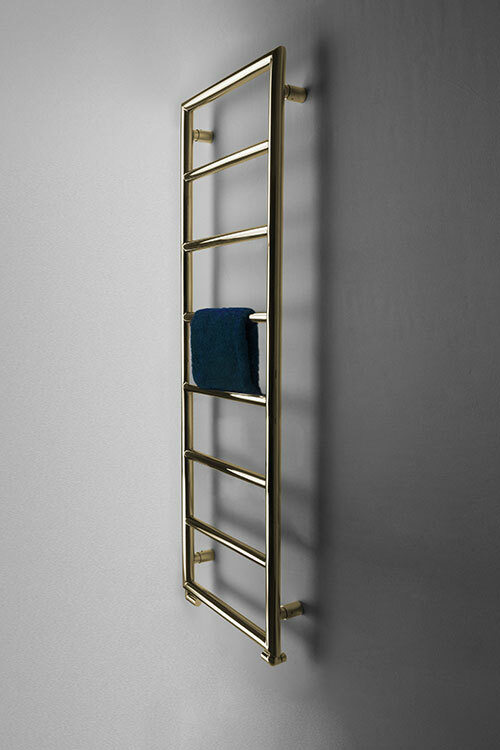 This wall mounted brass radiator has a choice of central heated, electric-only or dual fuel versions. 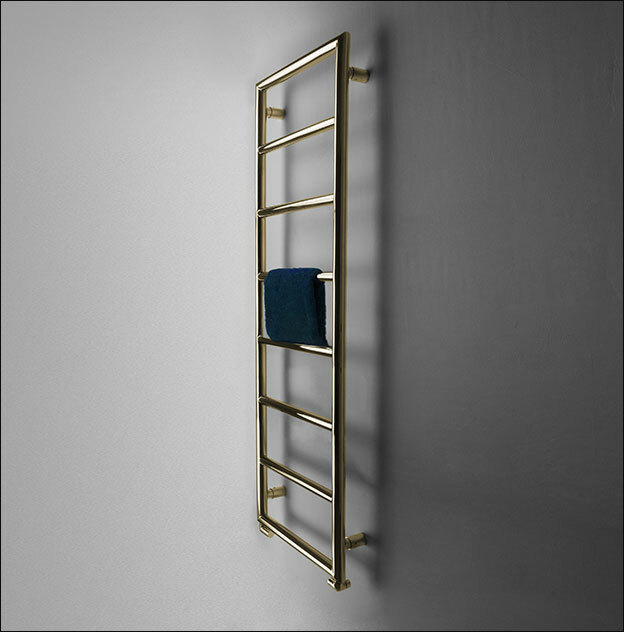 All of our brass towel warmers are made to order - please allow 6 weeks for delivery. 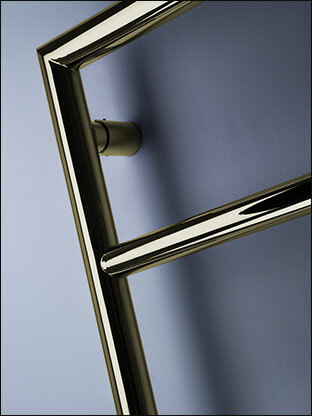 • Superior quality, made in Britain. 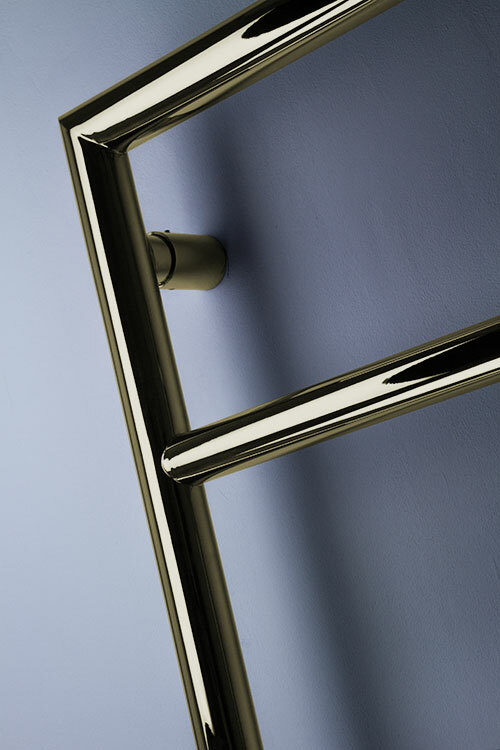 • Delivered in 6 weeks.